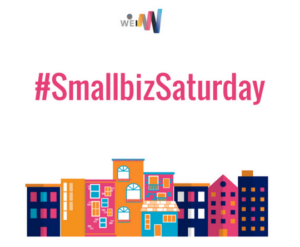 One of the first community outreach initiatives WEI kicked off in 2015 was a locally hosted SBA InnovateHER competition – a nationwide search to find innovative services or products, for women and children. For the third year in a row, we hosted the 2017 local pitch competition for the national InnovateHER competition, underwritten by The Sara Blakely Foundation, to tap into Atlanta’s community of entrepreneurial talent. Who has inspired you in business and how do you stay motivated to continue pursuing your passion? I love companies with a clear intention and purpose behind their services or products like the Honest Company. As well, I am fascinated with many of the pioneers of the shared services industry like Brian Chesky of Airbnb. Curiosity keeps me motivated. I love strategizing and creating solutions to problems. What is the biggest or proudest moment of your entrepreneurial journey thus far? Being able to present this idea at the WEI Pitch Competition was a big moment. A lot of times we allow fear and the desire for perfection to keep us from doing something really impactful. In that moment I was able to overcome both and was fortunate enough to win the competition. What has been the biggest challenge you’ve faced in your startup venture? Balancing working on the business with working in it. It’s like having several pots on the stove, you have to balance so many things at one time and keep them at just the right temperature so you can deliver a great product. That’s what building a start up feels like, you want to try to deliver everyday to advance the company’s goals. Why was it important that you create Omodé? At the heart of Omodé is a desire to help busy moms who are pursuing personal or professional ambitions yet have an unceasing desire to be great and present moms. These two goals can often be at odds with one another since we can’t be two places at once. In that pursuit to succeed, moms are working incredibly hard 24/7 often without taking time out for themselves. What Omodé is created to do is to instantly offer moms some much needed time to themselves while the children engage in unplugged enriching activities that they’ll enjoy whether that’s baking, doing a science experiment or creating a craft project in French. 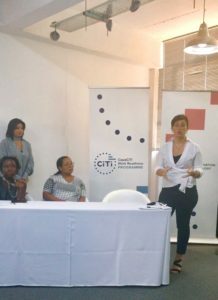 How will the winning the 2017 InnovateHER competition benefit your business? Gone are the days when early stage ventures were challenged by the constraints of their geographical location, to network with potential partners, investors and customers. As the world becomes more digitally interconnected and engaged, so too, does the opportunity for entrepreneurs to tap into talent, capital and resources that may have previously felt “out of reach”. 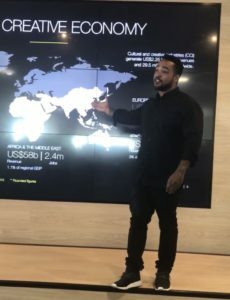 With this in mind, our goal at WEI has always been to embrace the endless possibilities of interconnected ecosystems, and present our entrepreneurs with access to peers in Atlanta, and beyond. With a strong collaborative partner, by way of our International Affairs Office, we have attracted international delegations visiting from Saudi Arabia, Cairo and Lodz, Switzerland, to name a few, to our one-of-a-kind incubator, in exploring opportunities for collaboration. 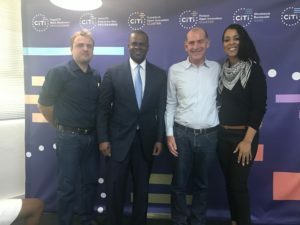 On our recent visit to Cape Town, South Africa, as part of Mayor Reed’s visit to strengthen Atlanta’s ties to economic and cultural development with the South African city, we were able to build upon our cities’ mutual commitment to economic inclusivity for our women entrepreneurs. 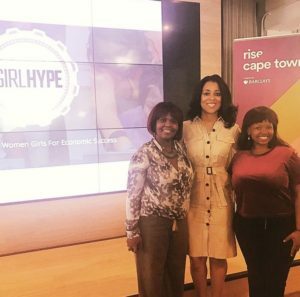 The takeaways from the visit to Cape Town were numerous and compelling, but perhaps the one that resonates the most, is the universal language of resiliency, spoken by the entrepreneurs and ecosystem leaders we met there, as well as ours here. With each entrepreneur we encountered, as we toured their creative spaces and heard their start-up stories, we recognized the need to continue working to “think outside of our local box” to support our entrepreneurs being globally minded, from the start. Now, more than ever, we have the world within our reach, to support that mission.